8h00PM: The Staff of office pick you up from your hotel transfer to Hanoi Railway Station, caught the SP1 Train leaving Hanoi at 21.10 pm. Overnight on train. One hour check-in before the leaving. Have lunch. Check in time after 12h00AM. 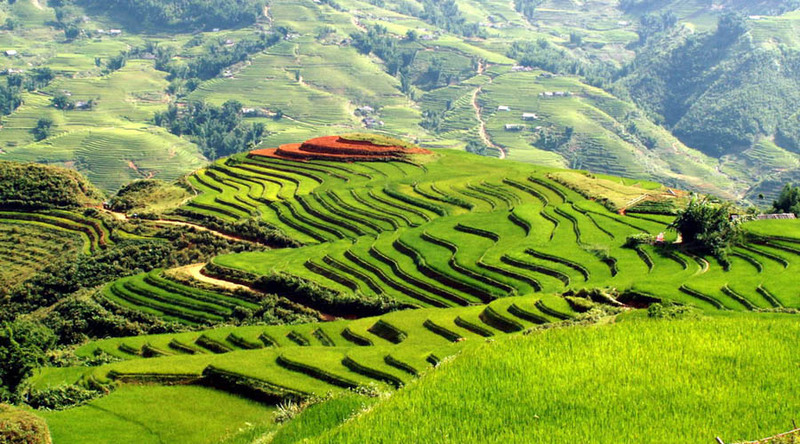 Included: Transfer Lao Cai- Sapa, entrance fees, English speaking guide, hotel, lunch, dinner. AM: All day trecking to visit some minority villages : Lao Chai – Ta Van . You will see some different minority people H’Mong, Zay , Dzao… dressed in the traditional style that is unique to the Northern region.Experience the dailly lives of minority people to understand better their culture and customers. Picnic lunch. PM : Take the Jeep or car come back Hotel in Sapa, free for relax.